Everyone knows that I love featuring up-and-coming designers here on my blog. So it is indeed a pleasure to introduce to you my readers Dress Addict. Designers Artem Grishchenko and Victor Victorov are the duo behind this progressive ready-to-wear line based in Kiev, Ukraine. 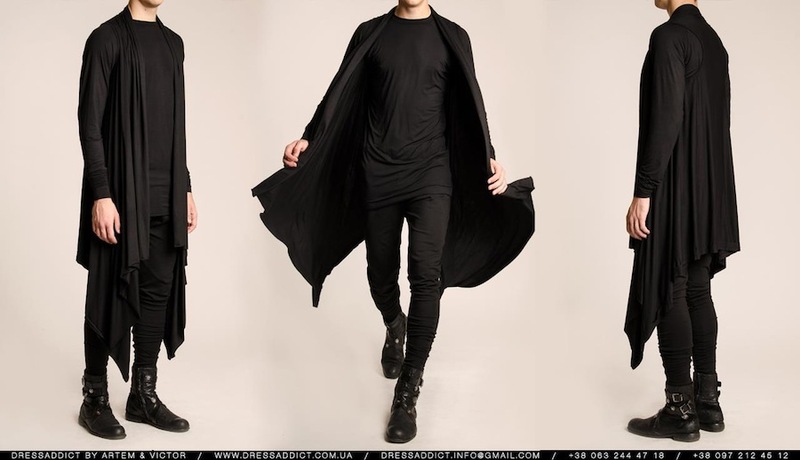 I got a chance to chat with Artem regarding their latest collection a few days ago. 1. Tell us something about your latest collection. What was the inspiration behind it? Most of our items can be worn regardless of seasons that is why we do not divide our collection based on a specific season. Frankly speaking, it is the fabrics that inspired us to do this collection. The fabric's color, texture and its peculiarities inspire us. The process of choosing fabrics was indeed the most stimulating part of creating this collection. Somehow the best designs from this collection transpired during this initial stage. 2. How's it like designing or collaborating with Victor, the other designer behind Dress Addict? What are the pros and cons designing with another individual? Victor relies on my designs and I fully rely on his cuts. Sometimes we help each other in our pre-designated tasks. This totally makes our work much more unique. 3. What is Dress Addict's design philosophy? Our brand philosophy deals with freedom, comfort and pleasure. That’s why we oftentimes use very soft and pleasant materials. And our clients get perfect sensation from it. And it’s such a joy for us to create clothes for everyday wear because our clients spend most part of their time wearing casual and comfortable clothes. 4. 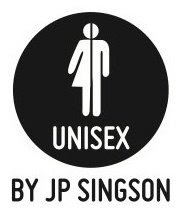 Lately, there has been an outbreak of unisex labels. What's your take on this? There is nothing bad in it. The most important thing is what you feel deep inside yourself. If this makes you happy, then, good fortune awaits you. Positive frame of mind absolutely affects the people around you. This somehow makes the world much kinder. 5. How does living in Ukraine influence your work as a designer? As designers, we are greatly and positively influenced by the current fashion situation in Ukraine. The reality is that our clothes are something new in the Ukrainian fashion. As a matter of fact, Ukrainian women are accustomed to wearing bright colored garments, shoes with high heels, short skirts, and plunging neckline dresses. As a challenge, we greatly encourage them to wear monochromatic fabrics, baggy cuts and fearlessly layer. Such clothes prove to be somehow more intellectual. People ought to pay more attention to you as a person and not the skirt you are wearing. 6. Several maisons or fashion houses are using the internet to market their products through various social media sites and fashion bloggers. How does this influence a relatively young label like Dress Addict? To my mind it doesn’t influence our label in any way. We use the internet to promote our collections. The internet has somewhat become our new world. The reality is most of our clients have no free time to go shopping. So it’s quite convenient for them to get acquainted with the collection and to make an order online. 7. What are the must-haves in Dress Addict's latest collection? There are no must-haves in our collection. It’s just personality that can be taken into consideration as the most principal thing. The key principals of our creative work are: not to stand still, to experiment, to search, to do all our best for our garments to be loved, bought and worn. 8. If there's one thing that you are addicted inside your closet what would it be? It goes without sayings that I have it. And it is a cardigan. Whenever I put it on I feel very comfortable and nothing limits my movement. The cardigan makes me feel special, elegant and free. What else could I ask for? 9. 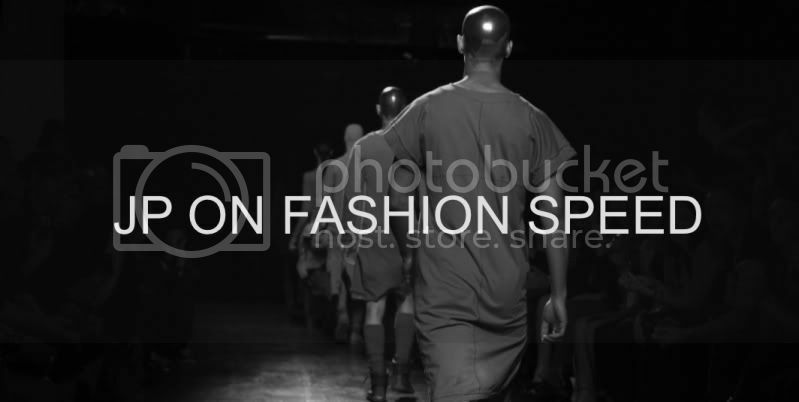 Are there any fashion designers who you look up to for inspiration? Sure there are! But not in Ukraine. There are several European designers I admire like Damir Doma, Rick Owens, Yang Li, Maison Martin Margiela, Lucas Nascimento and of course Haider Ackermann. 10. Which is easier to make menswear or womenswear? It’s much easier to make womenswear. But on the other hand, it’s much more interesting to make menswear. 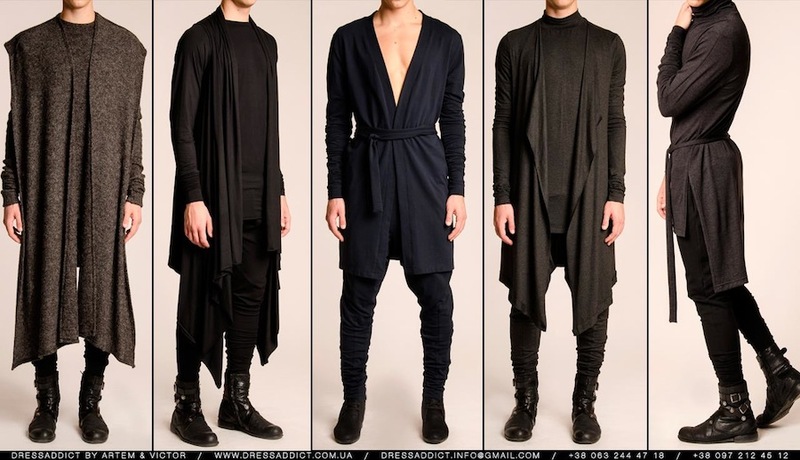 It’s due to the fact that there exists lack of modern and interesting clothes for men in Ukraine. First, it’s because of the fact that our men are accustomed to the classic casual clothes and they do not like to be paid attention to. Not just until recently when Ukrainian men have been paying attention to fashion and courageously experimenting. So we try to help them in every way possible by providing an alternative. 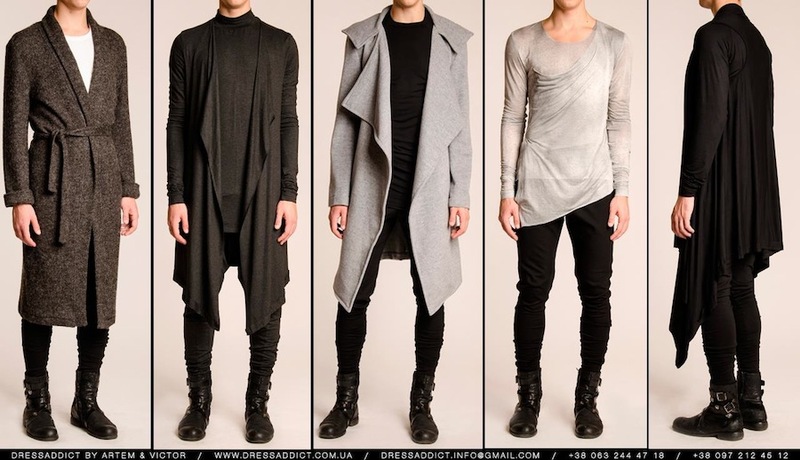 Dress Addict is a really extraordinarily new fashion concept here in Ukraine.